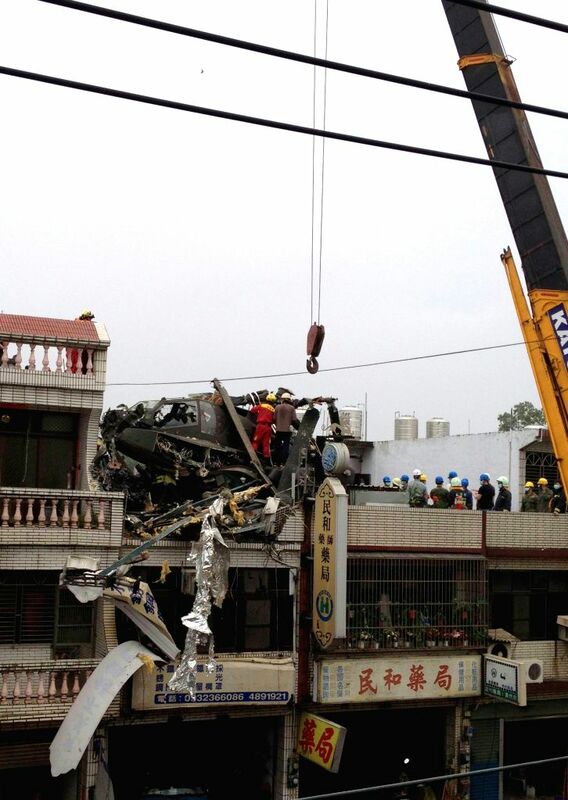 TAOYUAN, April 25, 2014 - Photo taken with a cellphone on April 25, 2014 shows a military helicopter crashing into a residential builiding in Taoyuan County, southeast China's Taiwan. The crash injuring two pilots on board, fire fighters said. The county's fire control authority said they received the report of the crash at 10:05 a.m. on April 25. No explosion or fire occurred, they said. 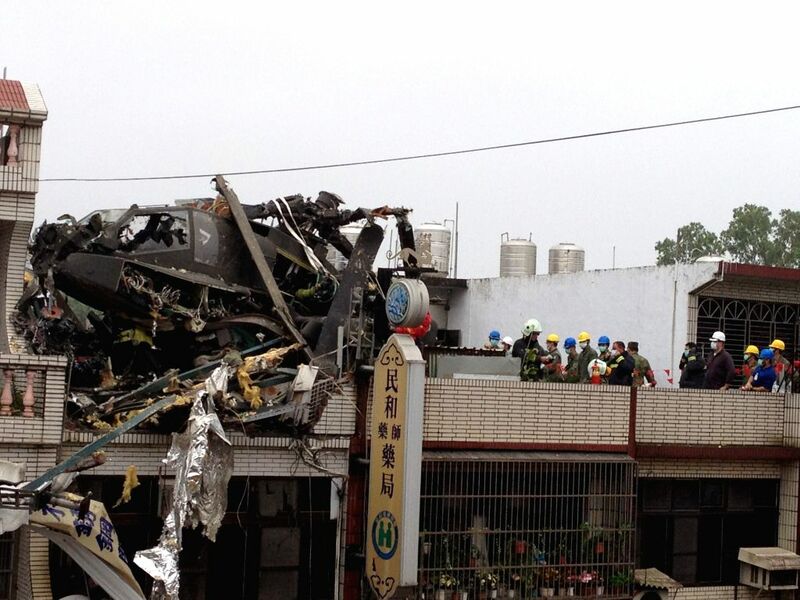 The two injured pilots have been rushed to the hospital and are in stable condition.